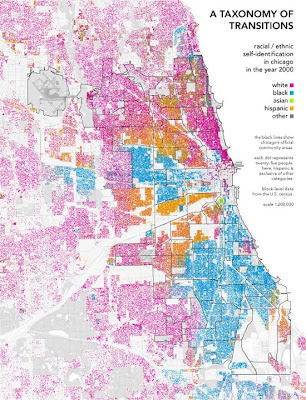 I got this map of where people live in Chicago by ethnicity from this web site. Could we be more segregated? !